Our experienced and award winning Las Vegas personal injury lawyers and criminal lawyers will help with your case. We are the only law firm in NEVADA with the Fair Fee Guarantee® and there is no fee unless we win your personal injury case. OUR ATTORNEYS HAVE DECADES OF EXPERIENCE PROVIDING EXCELLENT RESULTS IN THESE AREAS OF PRACTICE. The Drummond Law Firm guarantees that if you choose to settle your injury case before a lawsuit has been filed, our attorney fee will not exceed your net recovery. For personal injury cases we will send a car to pick you up and bring you to our office for a free consultation or will come meet you at your home, in the hospital or wherever convenient. Our firm will advance all the costs in your Personal Injury case. Contact us now to schedule your free personal injury case consultation. If you can’t make it to our office we will come to you. 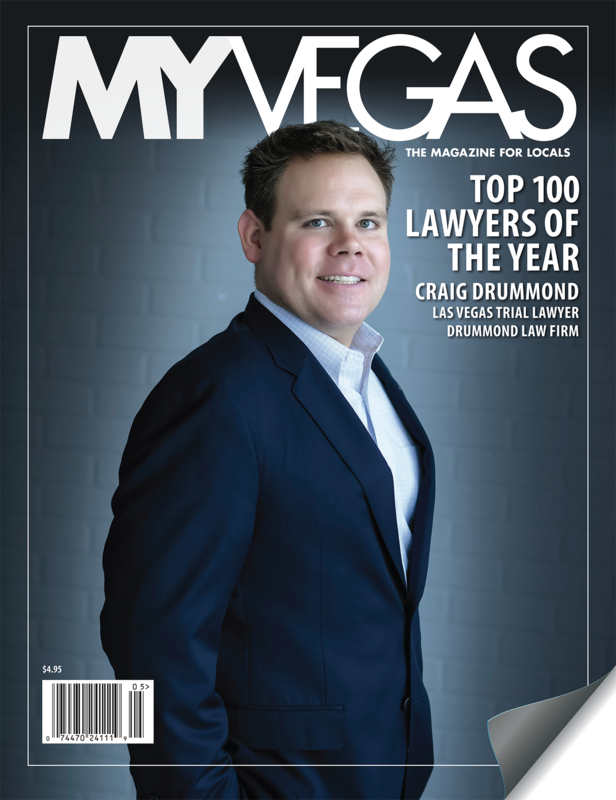 Our Las Vegas Personal Injury Lawyer and Criminal Lawyer, Craig W. Drummond is a former U.S. Army JAG Attorney, rated as “the best” by his superiors, and a decorated war Veteran. Our attorneys will get you the settlement you deserve. We have recovered million of dollars in settlements for our injury clients whose lives were forever changed by their injuries. The Drummond Law Firm is there for you every step of the way. We will meet you at our office or travel to you for a free consultation. Nationally and locally for trial advocacy in personal injury and criminal defense cases and is considered one of “the best of the best” in fighting hard for our clients. An Attorney should not be selected solely based on a billboard, slogan or advertised alleged fee reductions. You need a highly experienced honest attorney to take on your case. When investigating which attorney to hire, remember that there is no charge for your initial consultation with our office to discuss your case to get you the best representation possible.